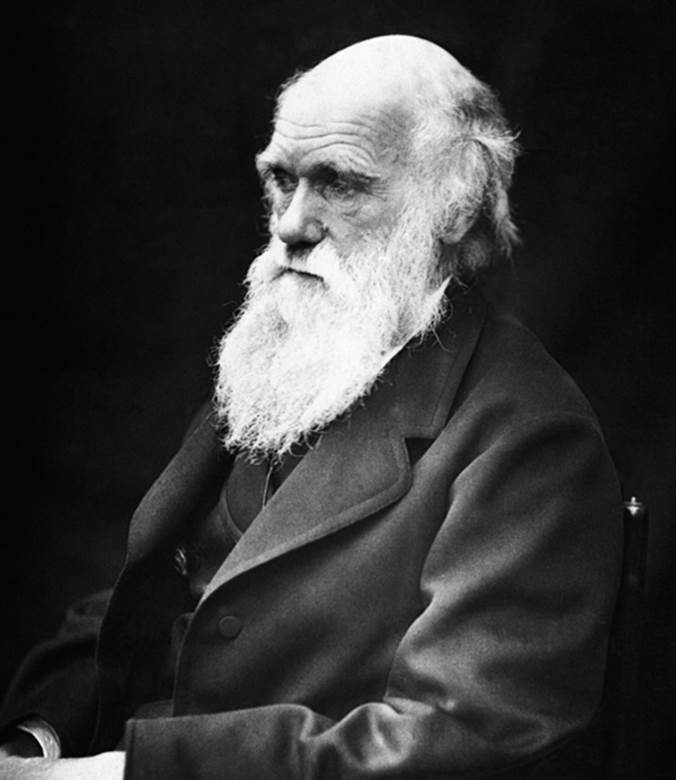 On the Origin of Species by Means of Natural Selection was over twenty years in its formulation and was based on a number of disparate sources and observations that Charles Darwin had the genius to integrate. While sailing on the HMS Beagle (1831–1835), he read Principles of Geology, wherein Charles Lyell proposed that the fossils embedded in rock were imprints of living beings millions of years old that no longer inhabited the earth nor resembled extant beings. In 1838, Darwin read Thomas Malthus’s An Essay on the Principle of Population, in which Malthus postulated that the rate of growth of the population was far exceeding the food supply and that, if unchecked, would have catastrophic consequences. Darwin also considered the practice of farmers who selected their best animal stock for breeding (artificial selection). The fourteen finches he found on the Galápagos Islands were similar in all respects, with the exception of the size and shape of their beaks, which were adapted to the available supply of food on their island. In the 1840s, Darwin sketched the outline of his natural selection theory in an essay. Anticipating a storm of protest to greet his anti-Creation theory, he hesitated to go public but, over the next decade, continued to gather additional evidence to bolster it. In 1858, Darwin learned that a fellow naturalist, Alfred Russel Wallace, had independently developed a theory of natural selection that was strikingly similar to his own. Darwin rapidly completed his book, Origin of Species, which appeared in 1859 and proved to be a runaway best seller and a classic in scientific literature. SEE ALSO: Artificial Selection (Selective Breeding) (1760), Population Growth and Food Supply (1798), Darwin and the Voyages of the Beagle (1831), Fossil Record and Evolution (1836), Mendelian Inheritance (1866), Evolutionary Genetics (1937). An 1869 photograph of Charles Darwin taken by Julia Margaret Cameron (1815–1879), who was known for her photographs of British celebrities.